Today was the last day of school....so I'm officially not a stupid lame sophmore anymore! lol I will miss the days of walking to Stone Drug and stuff...Anywhoosers I am very upset...because the love of my life...we will call him "DP" (that stands for Doctor Pepper..if u didnt know!) didnt sign my freaking yearbook! aw drats. Well I think I may see him during the summer..but who knows!? 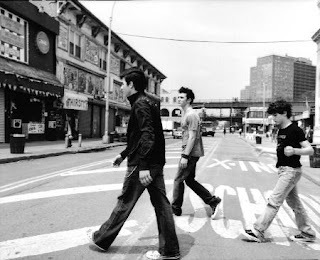 I guess I'm gonna go now....BY THE WAY..I LOVE THE JONAS BROTHERS!!!! And I will be seeing them June 30 in Cali baby! Well adios! Hello! So today is sunday...very boring...in my opinion..u may disagree, but that is your opinion! hahaha j/k anyways so yesterday i pretty much just played volleyball and baseball while i helped my friend with her school stuff.... yeah, not that exciting! im excited for wednesday! cuz guess what that is? you got it! my birthday! cool huh? i will be 16 years old...wow i am getting old. so yep thats my main highlight of the week. the rest will just be school and state testing! dang! i dont really have that many exciting things to tell you. sadie hawkins is coming up! dunno if im going or not! and school gets out in like 3 weeks! cool yet sad! this summer me and my friends will be chillin and getting tan! im so friggen excited! well thats all for now!